The Milwaukee County 4-H Tech Wizards from Highland Community School are in their second year working on underwater Remote Operating Vehicles (ROVs), specifically SeaPerches. In spring of 2017, the youth competed at the Great Lakes Naval base in Illinois for the regional SeaPerch Competition, finishing in the top ten for the Middle School class. 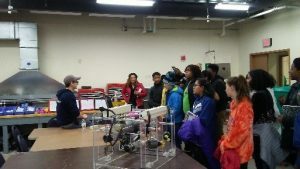 As the students eagerly brainstorm for next season’s competition, they were interested in learning more about underwater ROVs, specifically their functions beyond competition and careers. 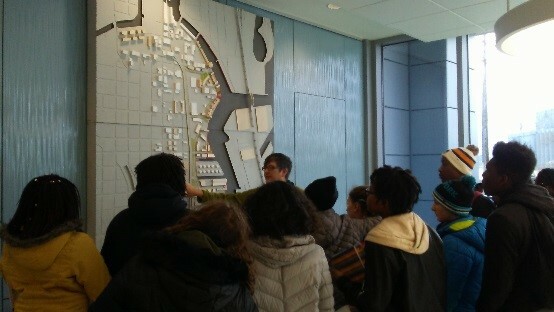 The group of 31 youth from Highland got the opportunity to do just that right here in Milwaukee. 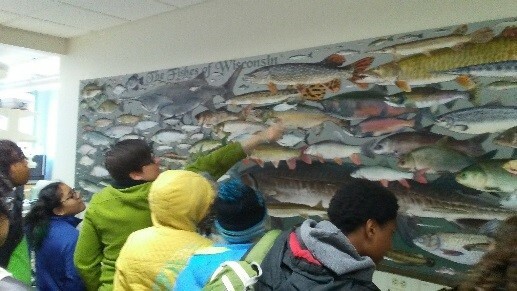 On December 8th, 2017 the group visited University of Wisconsin-Milwaukee (UWM) School of Freshwater where they toured the facility and learned about the local and global projects happening with freshwater. 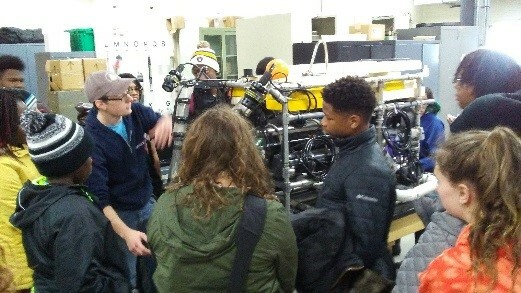 The tour included a visit to UWM’s Freshwater ROVs lab where the students had the opportunity to observe up close expensive ROVs, costing over tens of thousands of dollars. A Graduate student showcased the different ROVs and explained the different functions of each robot and how they were used for environmental studies. This was the ideal experience for the 4-H Tech Wizards youth, as this visitation at UW-Milwaukee School of Freshwater Science inspires them to creatively brainstorm new ROV designs for the upcoming SeaPerch Competition, but more importantly it reveals STEM career paths locally. The 4-H Tech Wizards program uses of robotics and STEM education as a powerful method for adult mentors to form relationships with young people. 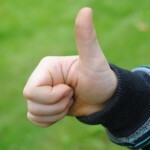 This program is funded by the National Office of Juvenile Justice and Delinquency Prevention. 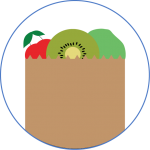 To learn more about the Milwaukee County Tech Wizards program visit our website.